MEDIEVAL WORLDS provides a new forum for interdisciplinary and transcultural studies of the Middle Ages. Specifically it encourages and links comparative research between different regions and fields and promotes methodological innovation in transdisciplinary studies. Focusing on the Middle Ages (c. 400-1500 CE, but can be extended whenever thematically fruitful or appropriate), MEDIEVAL WORLDS takes a global approach to studying history in a comparative setting. 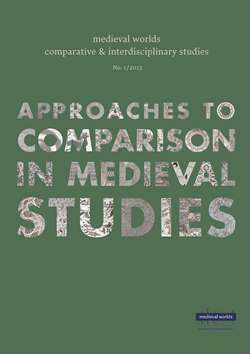 MEDIEVAL WORLDS is open to regular submissions on comparative topics, but also offers the possibility to propose or advertise subjects that lend themselves to comparison. With a view to connecting people working on related topics in different academic environments, we publish calls for matching articles and for contributions on particular issues. Robert MOORE, The First Great Divergence? The journal is funded by the Austrian Science Fund (FWF). This paper considers the modern concept of a ›universal chronicle‹, examining its validity for Latin texts written before the mid-ninth century. It notes that while modern historians of Late Antiquity and the Early Middle Ages concentrate on the most recent material in chronicles and other historical writings, the original authors were usually concerned to set events of their own day within a framework that began with the Creation, the Birth of Adam, or of Abraham, and that as a result most historical texts should be seen primarily as tracing the history of Salvation. As such they need to be understood as one manifestation of a more general concern with the nature of Time.